The chief executive and chief designer in charge of the Cayenne step into controversy. Remember your teacher making a fuss whenever you started coloring outside the lines? Well, these days, that seems to be precisely the requirement for an automotive designer. Nobody wants just a sedan, an SUV or even, it seems, a sports car any more. Instead, they’re demanding so-called crossover vehicles that don’t fit into any of the traditional product boundaries. That may make perfect sense if you’re trying to gussy up a minivan with sport-ute attributes and extend its appeal beyond soccer moms, or to improve the driveability and mileage of a ute by mounting it on a sedan platform. So perhaps it was natural Porsche would try to do something similar to extend the appeal of its trademark sports cars. A decade ago, the German automaker gave serious thought to a four-door sports sedan. While it dropped the project, it didn’t dismiss the idea of drawing outside the lines. And a few years ago, design chief Harm Lagaay went back to the drawing boards, this time with the idea of tapping into the booming market for sport-utility vehicles. Porsche pulled the wraps off the project last September, when the new Cayenne made its formal debut at the Paris Motor Show. To say this sports car/sport-ute hybrid is controversial would be like calling a 911 quick. 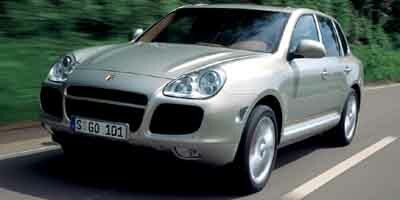 The Cayenne’s generated more debate than just about any automobile in decades. To judge for ourselves, TheCarConnection went along for the ride at the first Cayenne road test outside Barcelona, Spain. The timing was fortuitous, following by just a few weeks our drive in the new Volkswagen Touareg. The ties between the two automakers date back decades. They’ve shared powertrains as well as designs. The Porsche 914 was powered by a Volkswagen engine. And the successor 924 was originally penned for sale as a VW, but when the bigger company scrapped the project, Porsche decided to build the car on its own. In this instance, Porsche and Volkswagen teamed up to share the hefty development costs of building an SUV from scratch. The companies divided up duties, Porsche taking on the challenging issue of body dynamics. Two years before Cayenne and Touareg were to hit market, each automaker split off to work in secret on those attributes that would define the difference between a Porsche and a VW. 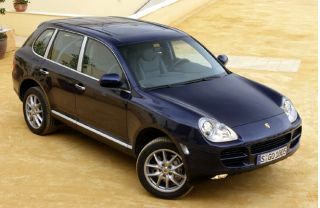 There they’ve certainly succeeded, for in both design and dynamics, Cayenne and Touareg are no mere clones. There’s no way to miss the family resemblance of the Cayenne, its knife-edged front end looks, nose on, like a 911 on stilts. The huge air intakes – particularly on the turbo model – are a bit awkward, to be honest, and the entire design takes time to grow comfortable with. Broader shouldered than the slab-sided Touareg, Porsche’s cabin actually appears a bit undersized, the steep rake of the rear window clearly intended to serve as a reminder, whether Cayenne is coming or going, that this is above all else, a sports car. While the rear seat is a bit cramped, the package is actually quite accommodating, with plenty of cargo capacity: about 19.1 cubic feet with the split-folding back seats up, 62.5 cubic feet when they’re down. Slip behind the wheel and you’re greeted with a familiar look. The instrumentation is classic Porsche, the gauges, set in overlapping circles, could have been lifted directly out of the 911. The interior, overall, is a bit more lavish, with its complimenting burlwood, leather and aluminum accents. But it is still quite spartan for a vehicle in this price range, something all the more surprising when compared to the lavish cabin of the Touareg. Let’s face it, when you buy a Porsche, you’re in it for the driving experience. The rain may normally be found on the plain, but there was plenty in the hills, as well, on the day we took the Cayenne for a spin. And it provided a perfect opportunity to test the crossover at its extremes. Porsche’s first-ever five-seater seemed surprisingly at ease as we charged down a rutted, muddy hill, then splashed through a gravel-bedded creek. As you might expect, the engineers at Weissach have given a Cayenne owner an ample toolbox of technology designed to overcome virtually any obstacle. Start with a low gear range and a locking center differential. (A locking rear differential is available as part of the optional off-road package. The automatic air suspension kit adjusts the vehicle’s height depending on speed and road conditions and, in maximum position, gives Cayenne 10.75 inches of ground clearance. At that height, the crossover can ford nearly 22 inches of water. On uphill climbs of as much as 45 degrees, the automatic hill holder will keep you from slipping backwards. The hill holder will take you down a slope at a steady two miles an hour when activated. There’s technology everywhere you turn, quite literally, even a new bi-xenon headlamp system that will direct light where you’re going when you take a corner. After a few hours bouncing and jouncing, we came away convinced Porsche has not produced a poseur. Short of a sprint down the Rubicon Trail, the Cayenne is up to just about any off-road challenge you can toss it, as long as you don’t mind getting the wheels muddy and risking a few scratches. Let’s face facts, though. Automakers may advertise sport-utes by boasting of their abilities to ford deep water and climb steep cliffs. But in reality, even the mighty Hummer H1 is more likely to see duty on suburban streets than a backwoods trail. Image aside, SUVs do have attributes appealing to the average motorist: high, “command seating,” and all-wheel-drive, to name two of the most significant. Cayenne delivers both, along with a sense of on-road handling, stability and performance not normally found in a sport-utility vehicle. At highway speed, you’re likely to forget you’re driving a vehicle so large and tall. There’s no escaping the Cayenne’s size and you’re not going to whip it around the corner quite as fast as a 911. But you’ll come surprisingly close. Steering is precise, with a crisp, on-center feel that puts the crossover where it’s pointed. You’d hardly notice the suspension compromises required for serous off-roading. 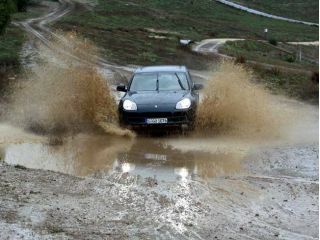 The Cayenne manages to feel very much the sports car on pavement. Of course, it helps to have either of the two drivetrains under the Cayenne’s long, sloping hood. Oh, and, yes, one thing Porsche engineers did have to accept was the idea of mounting the powertrain where you normally find it in a sport-utility vehicle: up front. But they maintained the traditional Porsche bias to rear drive, 62 percent of the Cayenne’s torque driving the back wheels on dry pavement. A key to the crossover’s dual on-and-off-road personality is the Porsche Traction Management system. It’s got plenty of power to control. 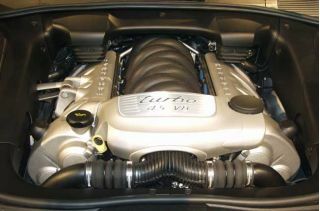 Even the “base” Cayenne S puts out an impressive 340 horsepower and 310 pound-feet of torque from its 4.5-liter V-8. That’s an all-new, normally aspirated, 90-degree design, rather than Porsche’s traditional opposing, or boxer, piston layout. For those who believe there’s never enough horsepower, there’s the optional Cayenne Turbo, which adds a twin turbocharger to bump power up to 450 hp and 457 lb-ft. You get full torque at just 2000 rpm, and output remains flat almost up to redline. The Turbo package is distinguished by four tailpipes, which emphasize the ute’s performance heritage. Both engines are mated to a six-speed Tiptronic gearbox, the first six-speed automatic on an SUV. The Turbo version’s transmission features an automatic lock-up mode. 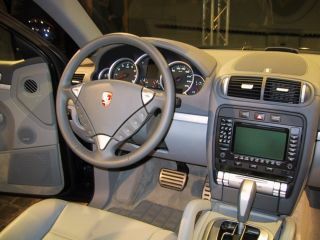 A six-speed manual will become available on the Cayenne S for the 2004 model-year in Europe, though at this point, there are no set plans to import it. But there are some practical applications, too, including a maximum payload of nearly 1850 pounds and a rated towing capacity of 7720 pounds. That’s not much less than a big Ford F-Series pickup. 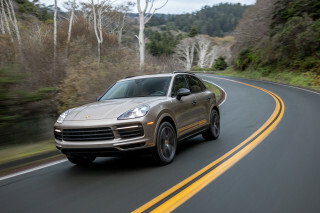 Incidentally, Porsche has also equipped the Cayenne with the biggest brakes ever offered on an SUV, as well: they’re 18-inch, six-piston inter-ventilated fronts and 17-inch, four-piston rears. To further enhance vehicle safety, Porsche Engineering has made significant use of high-strength steel to create a safety cage for the Cayenne’s passengers. There’s a full compliment of front, side and roof-mounted airbags, of course, and the previously-mentioned traction control technologies. When it comes to creature comfort, the Cayenne’s a bit better outfitted than the typical sports car, offering such niceties as a CD changer, a 350-watt Bose surround-sound system and a standard navigation computer. Options include a four-zone climate control system, as well as more functional accessories, like a roof rack. All that said, is there really justification for a Porsche-badge sport-ute? Company officials are quick to point out that a full 50 percent of their owners already have at least one luxury ute parked in the garage. Whether those same folks will accept the idea of having a Porsche ute is still less than certain. Price is one big issue. The Cayenne S starts at $55,900. A well-equipped Touareg with a V-8, on the other hand, will start at $40,700. Granted, that’s not an apples-to-apples comparison. But the premium is steep and could give some potential buyers pause. The jump to the $88,900 Cayenne Turbo is even more spectacular. Is it worth it, especially compared to the VW? 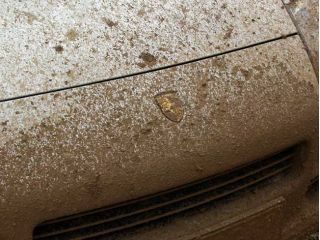 Let’s face it, there’s a premium placed on the Porsche badge that few buyers would be willing to cough up for a Volkswagen, no matter how good. And the Touareg certainly is a contender. But while it may have the better interior and, arguably, a more stylish body, the Porsche remains the ultimate in SUV performance, especially when it comes to the Turbo. More significantly, unlike the typical sports car, the Cayenne is designed to be a daily driver, a vehicle you don’t have to put away in the winter. And it will actually hold a week’s worth of groceries and the rest of the stuff you want to haul back from the mall. Whether that’s enough to overcome the Cayenne’s controversial styling remains to be seen. But there’s no question that when this SUV comes roaring up in your rearview mirror, it’s going to get your attention.